This is a custom saving extension. It works the same as the save/load blocks from Stencyl but it won't save/load all the game attributes. You can save/load manually whatever game attributes/normal attributes you like. Save some data(number,text,list,etc) with a given name. Retrieve some data(number, text, list, etc) with a given name. Prints out data value to the console. Tested on Flash, Windows, iOS and Android. If you use it I would really love to hear that from you so feedback is appreciated! -"load data block" renamed in "load data as anything". 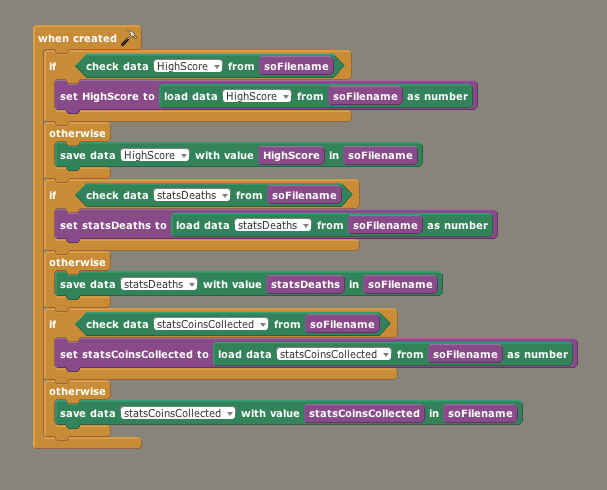 -3 new blocks: "load data as number", "load data as text", "load data as list". I needed to assign loaded data to a list and with the old load data block I couldn't so I've created a block that returns a list rather than anything. Damn, yet another extension I find out too late about . Keep up the great work George. I need to check the extention section of stencyl forums way more often. Thank you! This is the most used extension for my projects and it will be the first that I will upgrade to OpenFL. Yeah, I saw that page today and found about many extensions I didn't know existed (like google analytics for example, wish it was still supported as it seems unfinished/unattended). Working fine on Android/Flash latest OpenFL build. Is this a temporary save or can you save objects and have them persist between game sessions like normal game attributes? Also, is this capable of touching game attributes or is it all custom attributes? Its a persistent save exactly like save/load blocks from stencyl the only difference is that you have control of what entries you make and also over the name of the file. I don't understood very well the second questions. You can save whatever data you want. 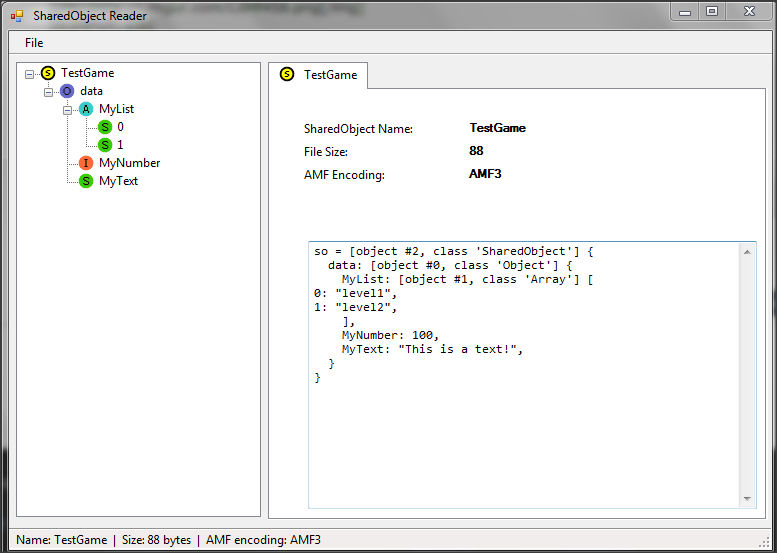 game attributes,normal attributes,manually inserted values like numbers, strings,lists. I use it to save game progress and highscores. Oh, I think I understand now. I thought at first what you meant is that it can save the actual game attributes themselves, but what you meant is that you can put the values of the game attributes into the custom values and save them that way, right? Yeah. It's just a way to manually pick and save whatever you want. The saving code is the same in Stencyl load/save blocks because I ripped from there. On stencyl was a loop that saved all the game attributes name+value and I've made some functions that gets name+value+filename. Cool. This seems like something I could really use. Recently used this to make an easy inventory extension for my current game project. This works so well because I don't have to arbitrarily go in and make game attributes for every single item. I'm planning to drop this in for handling some other custom datasets as well, like for an achievement system. Thanks Photon for using this. I use it also in all my games and I found it very very useful.